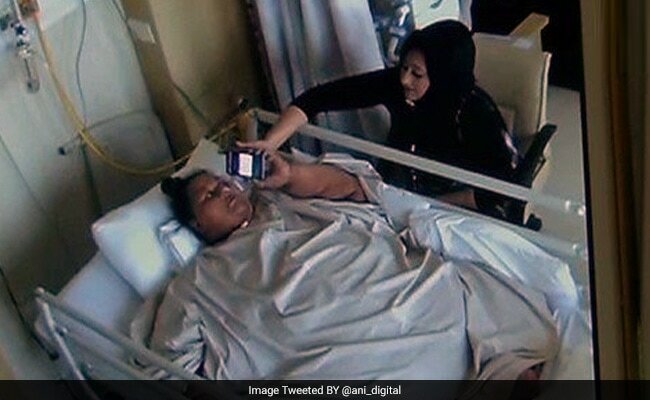 The story of the world's heaviest woman, Eman Ahmed Abdulati, miraculously shedding weight at a Mumbai hospital is not at all what it seems, alleges her 32-year-old sister in a Facebook video in which she accuses a renowned Mumbai doctor and hospital of lying for publicity. "Everything was a lie. God forgive them for what they have done... Eman did not lose 240 kg or 260 kg," Shimaa says, speaking softly in the video. Eman Ahmed, 36, arrived from Egypt in February, weighing nearly 500 kg, to the Saifee hospital in Mumbai run by renowned bariatric surgeon Muffazal Lakdawala. Since then, doctors reported rapid weight loss and say she is half her weight now. The family, however, alleges an attempt to get Emam to leave without full treatment. Eman has been cleared to go and has been asked to return to her home Alexandria in Egypt. But her sister says she is far from ready, and that she has been suffering seizures since a surgery in March. The last time she suffered one three years ago, says her sister, had left her right side paralysed. Dr Lakdawala has denied the allegations of the family. "She has lost a lot of weight, and I have fulfilled my promise that she would be able to sit in a chair. Now, she is suffering from neurological problems that don't fall under my supervision. She has made a video accusing me; it's circulating within the Egyptian consulate. 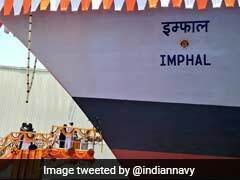 The officials who helped us in getting Eman to Mumbai are so ashamed of her behaviour that they are apologising to me," he has been quoted as telling Mid-Day. In the mobile video apparently taken on April 14, Eman is seen lying motionless in the hospital bed with feeding tubes as her sister introduces herself and gives a view of her room. She says Eman had contracted thrombosis for the second time since she arrived at the hospital. In the video, Eman Ahmed can be seen lying with feeding tubes in her hospital bed. "My problem is this hospital is not equipped for such a case. Those people care about show and propaganda only, to appear on mass media... they don't care about the patient. She is in this critical condition. She is on massive medication to stop brain activity. Her face and hands are bluish," says Shimaa, describing her sister as "helpless" and neglected. "These people are not good at all. Not polite. Liars. Doctor Muffazal cheated us. Liar. He said Eman will be treated...and promised she will be fine and she will lose weight. Eman... she has been destroyed. 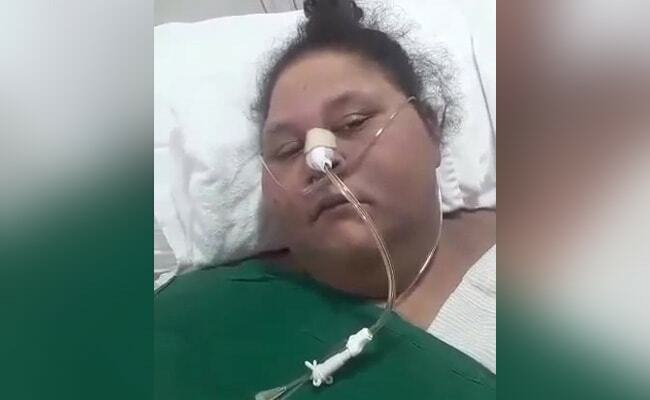 She has been operated just to show people she lost some weight...Pray for Eman to leave this place safely and to be cured," she says. According to the family, the doctors refused when they asked for a CT scan after she contracted thrombosis. "They said it was not available in Bombay," Shimaa alleges. She also said doctors had promised proper toilet facilities but "it was a lie."